On our final day in Cape Town we decided to drive around the False Bay coast eastwards to Betty’s Bay and on to Hermanus (a good spot in the winter months for whale watching from land) and it turned out to be one of the best drives of the trip. Our first stop was in Muizenberg where I had lived for several years in the 1970s and 1980s well before it went through a period of crime and deprivation which almost ruined it. Now it appears to be on the up with lots of investment in the region including new housing developments around the village and the beach which is very popular with surfers and the longest and most spectacular in the peninsula. Even the iconic Victorian beach huts have been spruced up and rearranged into uniform lines so hopefully tourists will be encouraged back here. And although it lacks the turquoise waters and dramatic boulders of Clifton or Llandudno it is one of the best beaches in the peninsula with its sugar soft white sand dunes to the eastern edge and child-friendly rock pools to the west and warm waters to swim or body-surf in. Wandering around this little village you will see examples of Victorian, Edwardian and Art Deco architecture. The lovely Edwardian-era red-brick railway station which opened in 1913 with its arched sandstone entrances and beautiful teak clock tower is reminiscent of the golden days of Muizenberg. 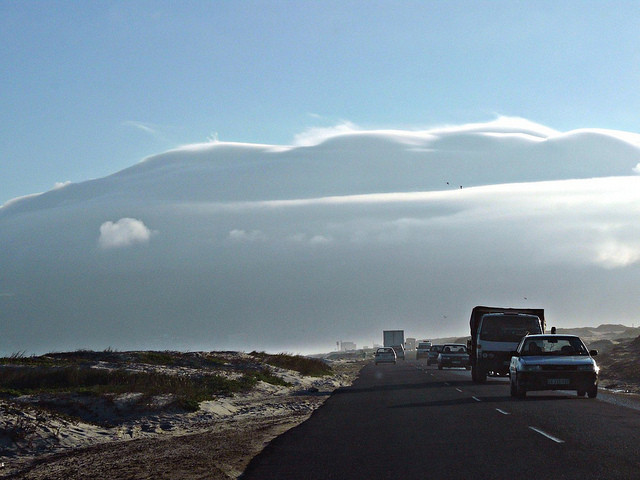 Begin the trip by driving eastwards along Baden-Powell Drive (the R310) towards the Strand following closely the shoreline of False Bay, another amazing drive as sea-spray and sand blow over the road you are that close to the ocean. One that is often overlooked by visitors, believing that Chapman’s Peak Drive is the only one to do. Baden Powell Drive is one of those areas ‘highly vulnerable’ to a rise in sea level with the advent of climate change. Even now it is regularly blocked by blowing sand and the city may well decide in the near future that it can no longer afford to maintain the road, and to reinstate a dune system here. So drive it whilst you can. Stop at Gordon’s Bay, which huddles beneath the sheer mountains of the Helderberg (formerly known as the Hottentots-Holland range) that provide shelter for the bay, to check the views back towards the other side. It is a busy summer destination with Bikini Beach popular with the younger population who want to play volleyball, sunbathe and surf. The sea temperature is warmer here and the main beach is safe for swimming and has sheltered rock pools for exploring.You’ll know when you’ve entered Beach Road – the sea will be on one side and the retro character of the town on the other. It’s lined with little shops and cafés – not the trendy sort you’ll find in Camps Bay, but old seaside-village types oozing home-grown character. Continue along the R44 (Clarence Drive) where around the corner you will find Kogel Bay (Cool Bay) which is essentially a surfers beach but has a long stretch of white sand and a couple of exciting caves. 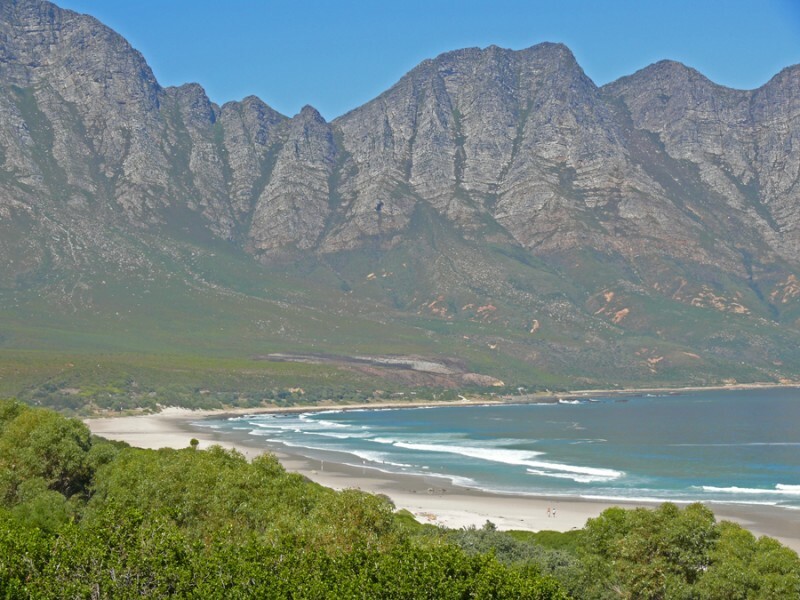 This scenic coastal road meanders between Gordon’s Bay and Betty’s Bay offering some of the best designated whale watching spots on the coast and magnificent views over the bay to Cape Point. 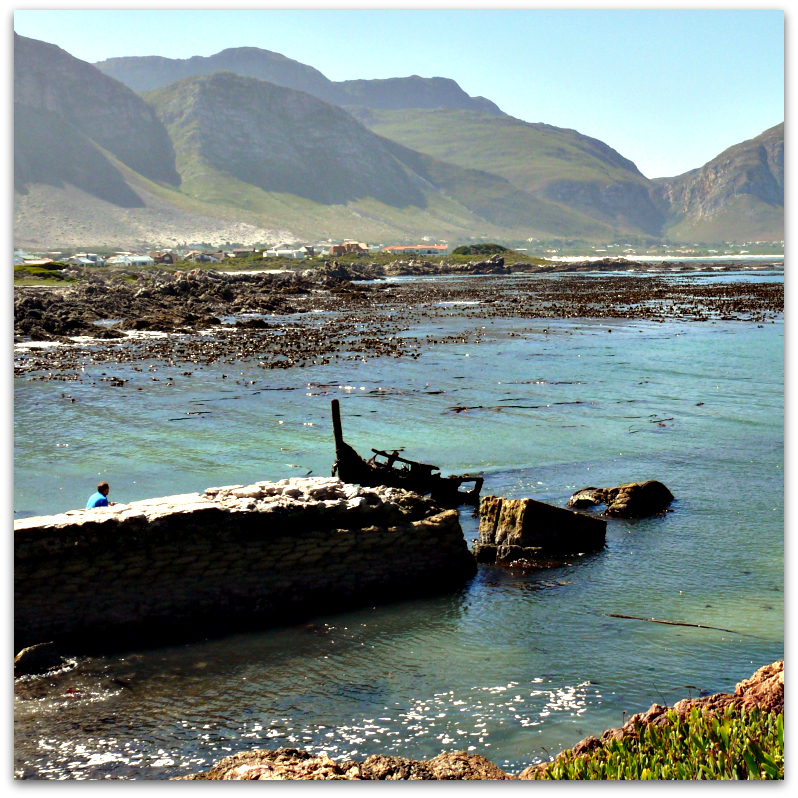 Pass through tiny Rooiels and Pringle Bay, a little seaside village nestled at the foot of the Hangklip Mountain, which is very secluded and unspoilt. The Hangklip marks the south-eastern point of False Bay and is about an hours drive from Cape Town. There are also many hiking trails through the Kogelberg Nature Reserve. At Betty’s Bay, another picturesque village positioned in a narrow strip of land between the Kogelberg Mountains and the Atlantic Ocean, you will find the Harold Porter Botanical Gardens. From October to February you will find a glorious array of gladioli, watsonias and rare red disas on display. There is another smaller colony of African penguins at Stony Point, Betty’s Bay and the remnants of an old whaling station. Further on you come to Kleinmond which lies on a lagoon at the small mouth of the Bot River between the Palmiet Mountains and the Atlantic. It is another quiet place offering good walking, hiking and bird-watching activities. Now take the R43 through Vermont, to Hermanus our destination. We parked in the Square in Hermanus and had a wander around this lovely little town which is quite charming though no longer the quiet fisherman’s village it once was. 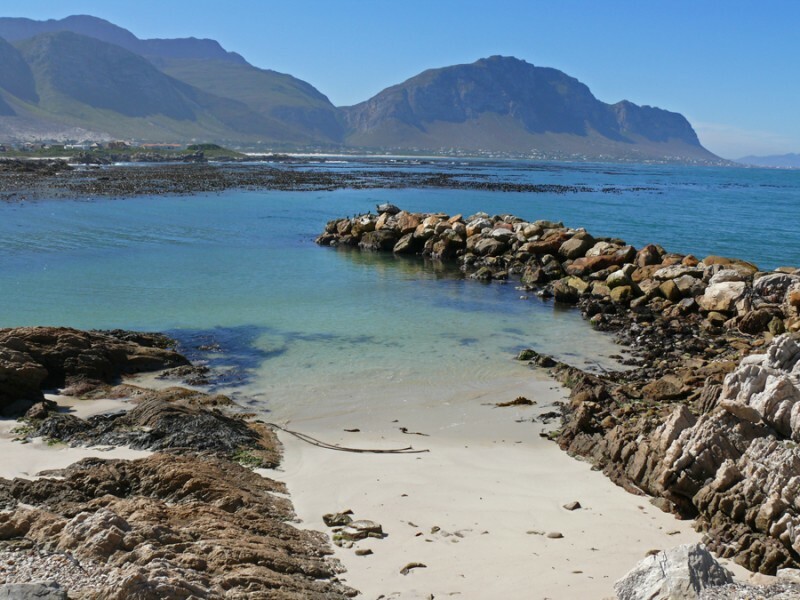 Hermanus is often described as the ‘Riviera of the South’ with its mild climate and is a popular weekend destination for the residents of Cape Town. Make sure you get a parking ticket from the meter inspector, who you will find walking about somewhere in the area, to avoid a parking fine. There are no self-ticket machines. 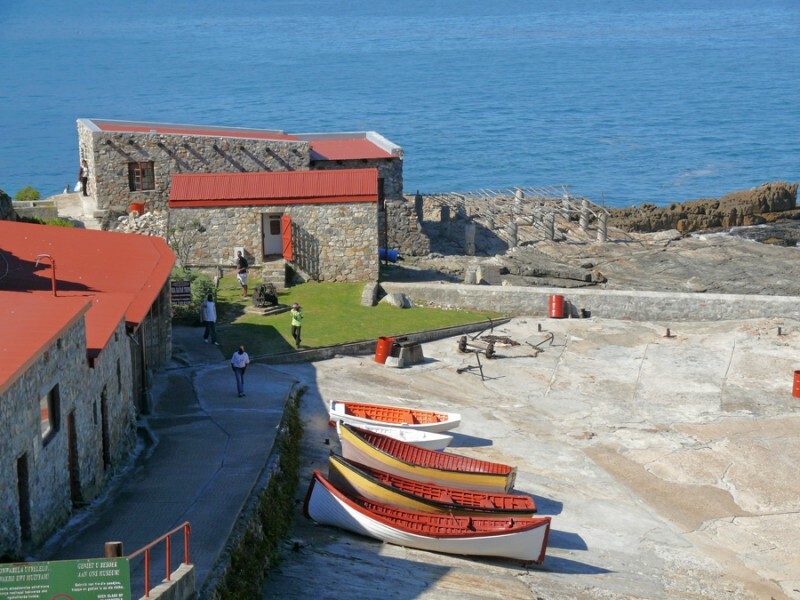 The Old Harbour complex offers an insight into its past and where you will find Bientang’s Cave, a restaurant on the shores of Walker Bay serving seafood only. It really is in a cave. July is the best time to see the Southern Right Whale as they frolic in Walker Bay in easy view of the cliff path and during the summer months the white sandy beaches, such as Grotto beach, are filled with holiday makers enjoying the sunny weather. And if you want to partake in white shark cage diving then carry on to Gansbaai around the bay. Further on is Cape Agulhas the most southerly point of Africa and officially the point where the Atlantic and Indian Oceans meet. This point is about a 2 hours direct drive from Cape Town. We headed back along the R43 from Hermanus up to Botrivier, a small picturesque village with a lagoon and wetlands; then we joined the N2 over the Helderberg (Clear Mountain) back to Cape Town. Stop off at the viewpoint at the summit of ‘Sir Lowry’s Pass’ (420m) for a bird’s eye view of False Bay and across the Cape Flats to Table Mountain, but keep an eye out for the sign as you have to turn left off the road almost immediately, it is very easy to miss the turn-off. You may see baboons here, but whatever you do, do not feed them, and it’s also used as a paragliding jump point. Watch them drift languorously to the coast below you. 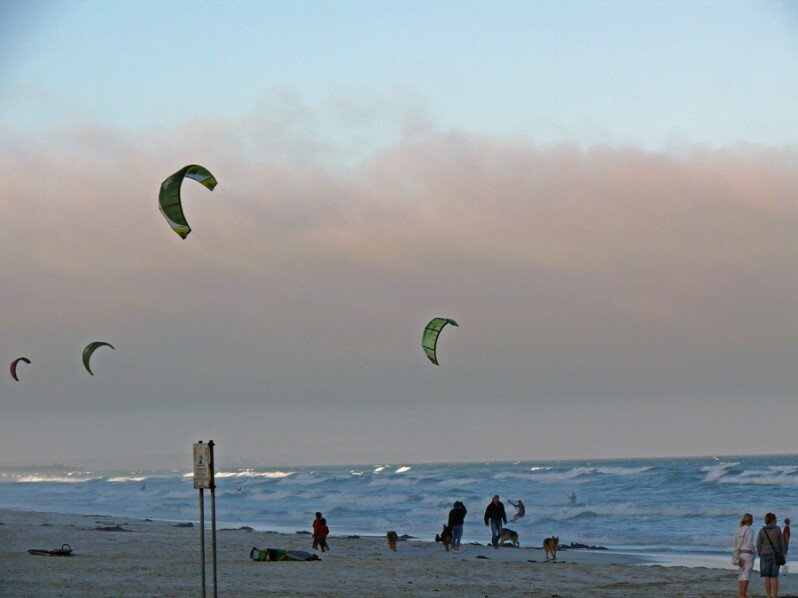 You can continue along the N2 past the international airport all the way to the city, but we returned along the Baden-Powell Drive to make one last stop at Sunrise Beach near Muizenberg to watch people kite-surfing in the late evening sunlight. From here you can easily return to Cape Town along the M3. Great post. One of my favorite days ever!! I wish I’d spent more time along that coast when I lived there, trouble is when you live in a place you rarely see all its beauty as life gets in the way! 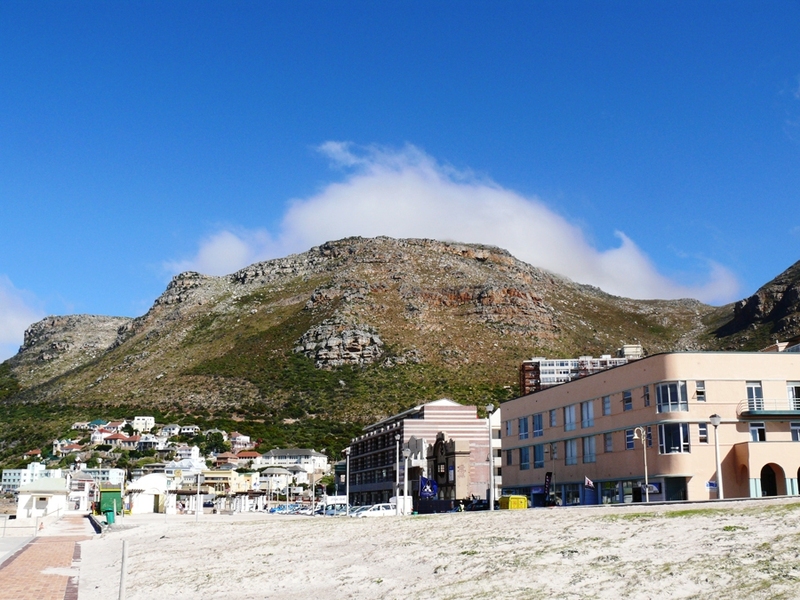 I remember Muizenberg in the 80’s when we lived in Johannesburg – it was an upmarket holiday destination along with Seapoint and everyone from upcountry wanted to holiday there. Many people had timeshare. There has been a marked effort to uplift the suburb in recent years, particularly the business district. The views for Boyes Drive are spectacular and the main road between Muizenberg and Simonstown is full of little gems like Rhodes Cottage and the Labia Museum. 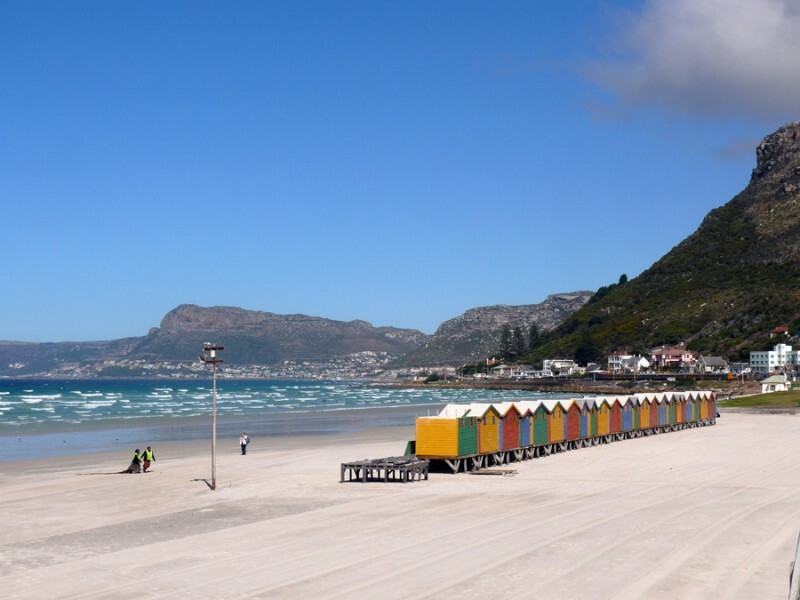 Hopefully next time you visit Muizenberg will have regained some of her splendour! Before leaving the Cape Peninsula I decided to take a drive along the coast of False Bay and then head east to Hermanus, a town I have been to frequently and a favourite spot for Capetonians. Have you seen whales in the wild? Gone diving with sharks? Or maybe just done a spot of kite-surfing? What a beautiful drive Jude.The beaches are stunning. I have done paragliding in Turkey. Did you try it? Great beach,and marvellous scenery Jude. I cannot ask for more. Thank you Yvette, it is a wonderful region. One of my favourite places!! It’s a cute little town! And such a lovely drive to get there if you do this route, though much quicker direct on the N2 of course. Just a beautiful post and story! What a fantastic drive! I had some great friends from SA and would love to visit there one day. The scenery is spectacular Lisa. Beautiful mountains all along that coastline. I loved looking at them. Yep, another one ended up in spam – well it disappeared so I assume that’s where it went. Anyone else having this problem? It looks like a beautiful place. Thanks for taking us along for the ride. 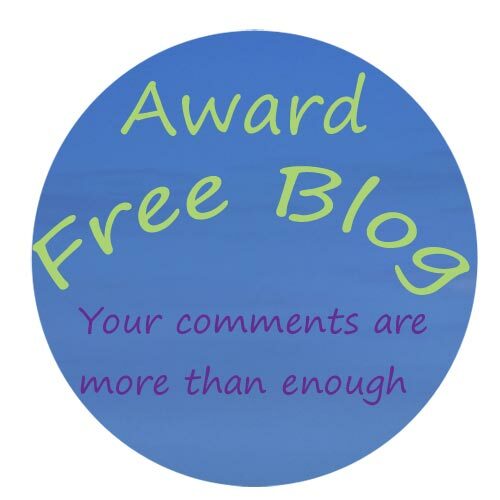 And yes, your most recent comment on my blog was found in the spam bin. Lucky I check it before emptying it. It’s a problem I’ve had with a few other commenters too – usually from the UK. Don’t know why. I have very few photos from the time I lived in SA Sylvia, and they were mostly of the children! I suppose film was so expensive then to develop that we didn’t use cameras so much. Now I look at everything with one part of my brain thinking where I could use it in a blog post! And, yes, you really should pop down to the Cape before you leave – a nice lingering drive along the coast perhaps?